- Viridian Spaces undertakes Green building certification systems which are formulated to promote design and construction practices to reduce the negative environmental impacts of buildings and improve the social health and living standards. 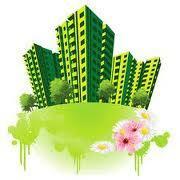 - We offer consultancy in LEED Green Building Rating and GRIHA Star Rating Systems. The U.S. EPA has entered into agreements with foreign governments to promote specific ENERGY STAR qualified products in their markets. The intent is to unify voluntary energy-efficiency labeling programs in major global markets, making it easier for partners to participate with a single set of energy-efficiency qualifications. ENERGY STAR qualified products and practices help you to save money and reduce greenhouse gas emissions by meeting strict energy efficiency guidelines set by the U.S. EPA and U.S. DOE. 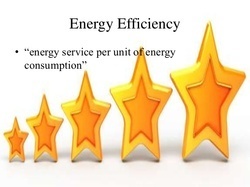 The ENERGY STAR label also designates superior energy performance in buildings.